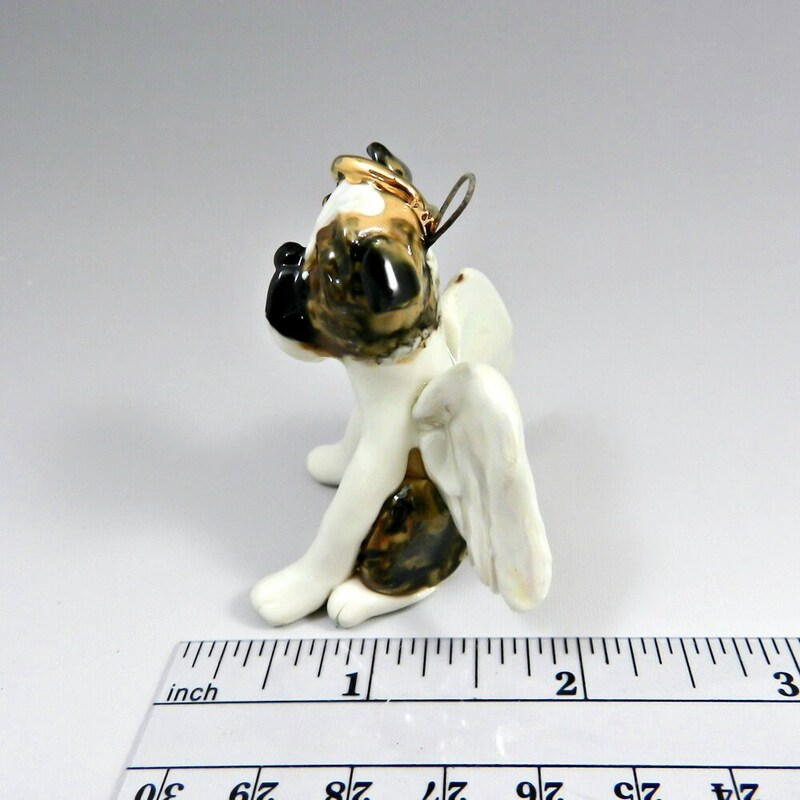 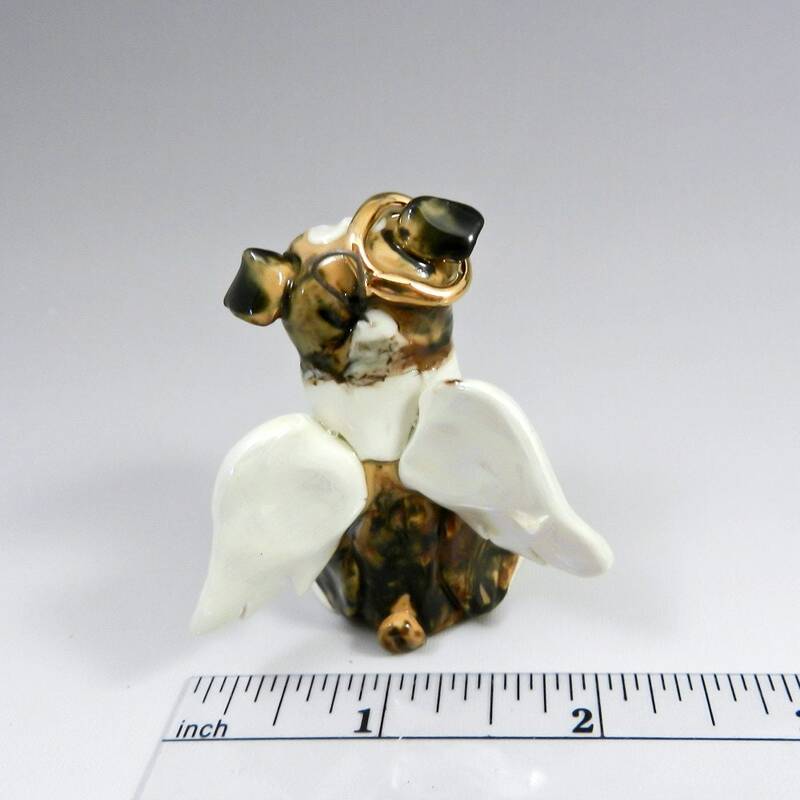 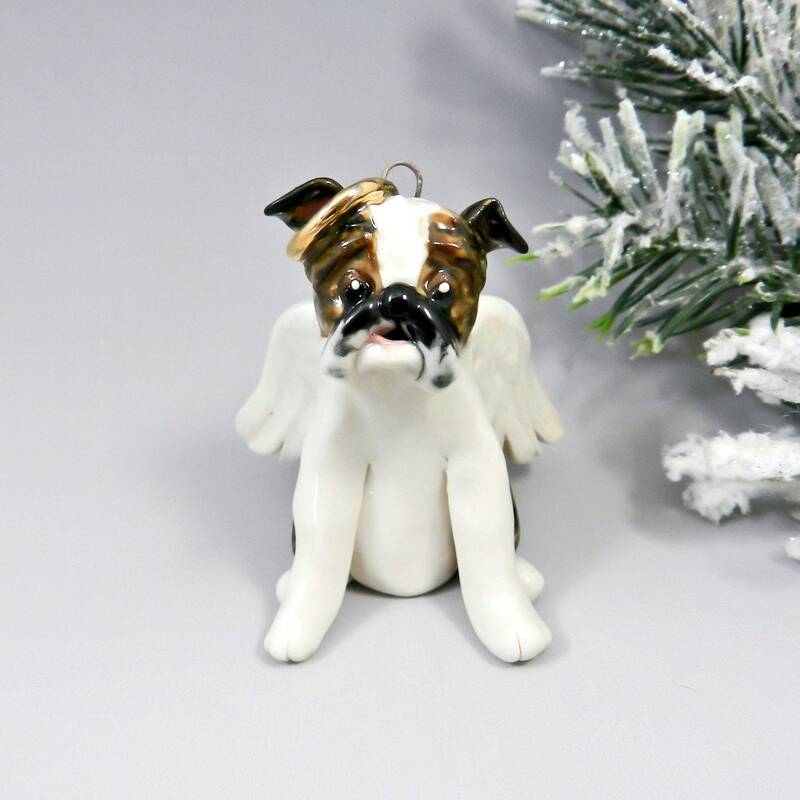 Brindle and white Angel English Bulldog Christmas Ornament or figurine with a Gold halo. 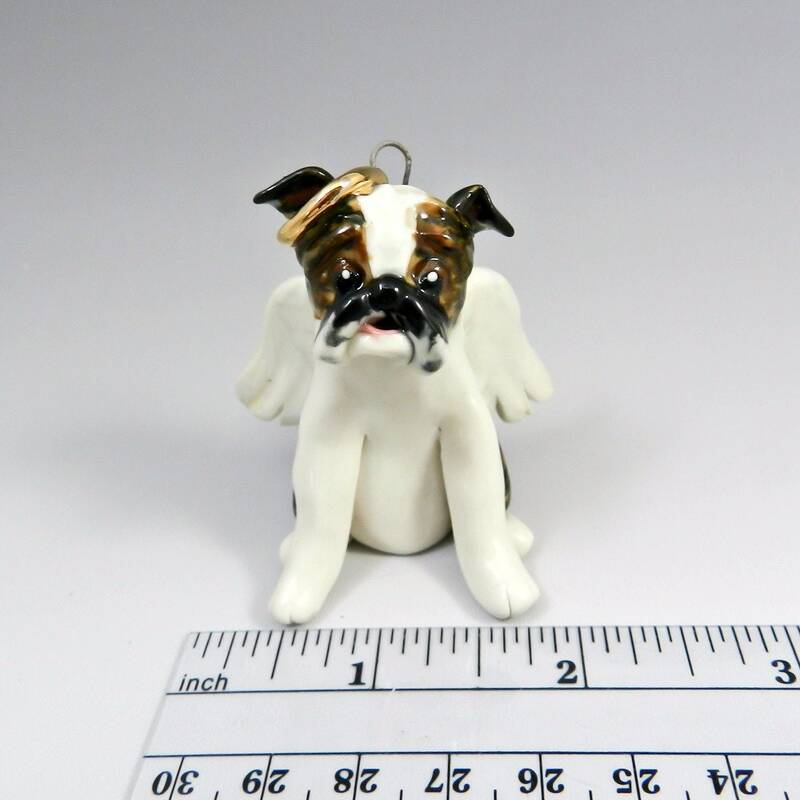 bought for my mom who recently lost her bulldog and she absolutely loves this little token to remember her by! 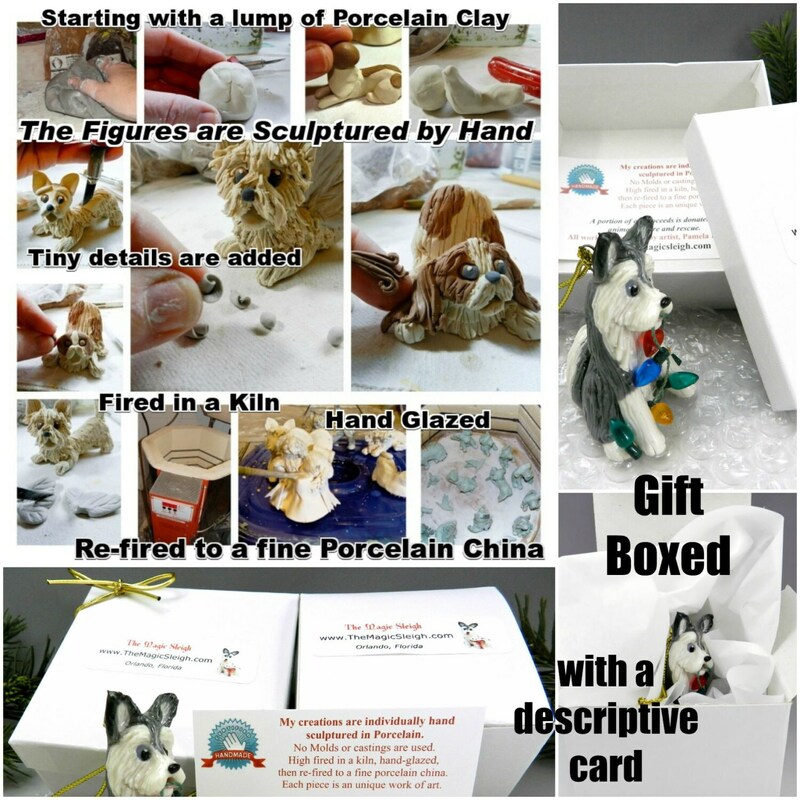 great work and fast shipping!